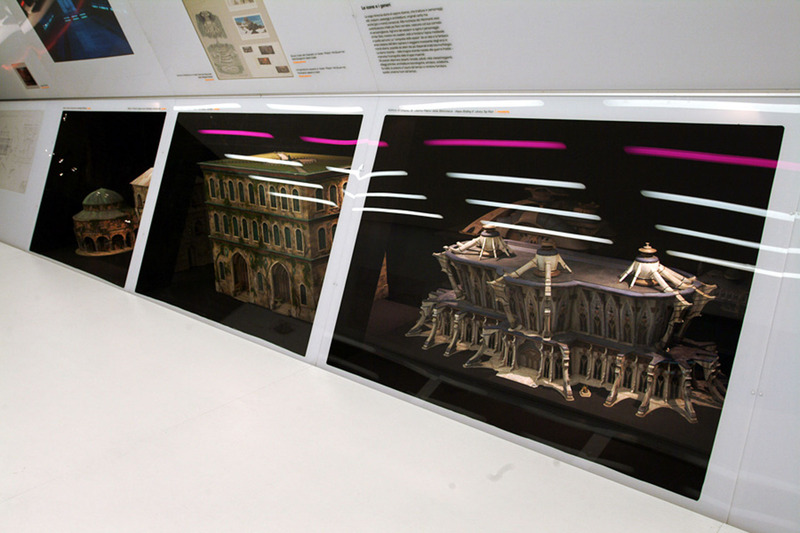 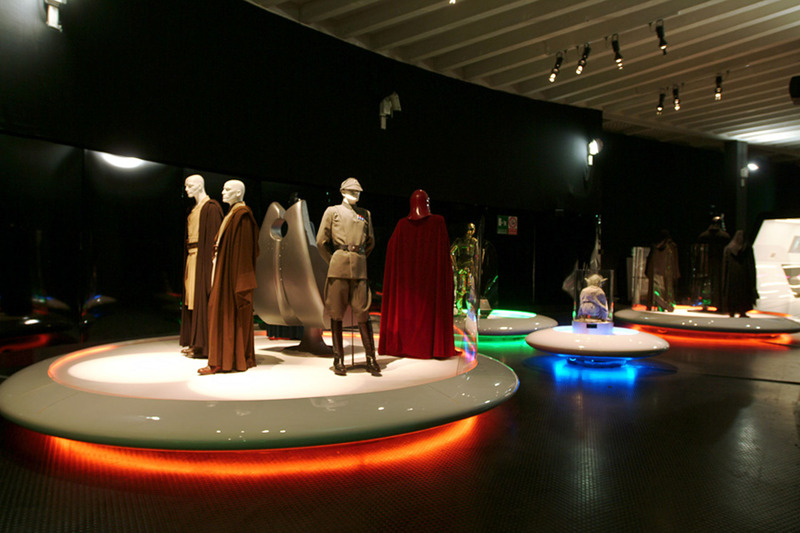 The exhibition Star Wars-The show has been presented on the occasion of the last episode of saga Star Wars-The revenge of the Sith by Milan’s Triennale, Lucasfilm and ArteUtopia. 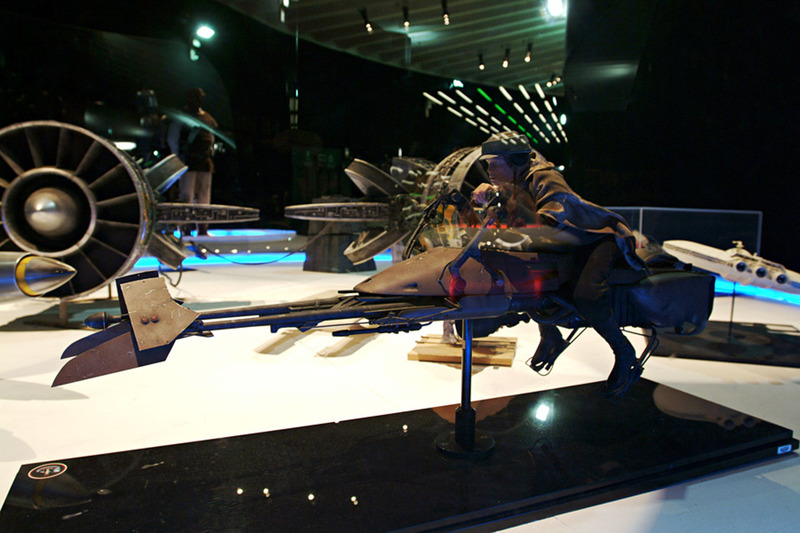 The scenarios, the characters, the costumes, the architecture, the spaceships, the robots and the whole world of Star Wars has been presented with approximately two hundred and fifty original objects and designs coming from the studios of Lucasfilm (San Francisco, USA). 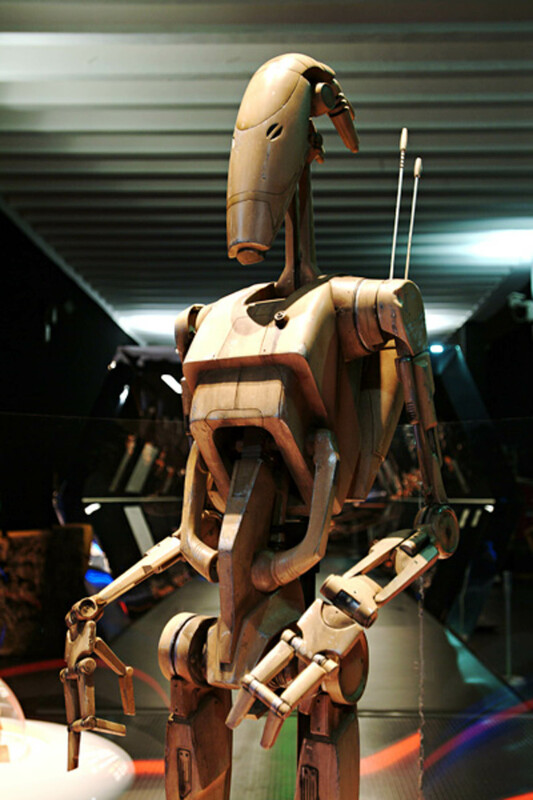 Models, costumes and objects used for the films, like the famous droids R2-D2 and C-3PO, the costumes of Darth Vader and the Princess Amidala, the spacecrafts (original models), the preliminary models of many great characters created from George Lucas fantasy that populate the universe of Star Wars. 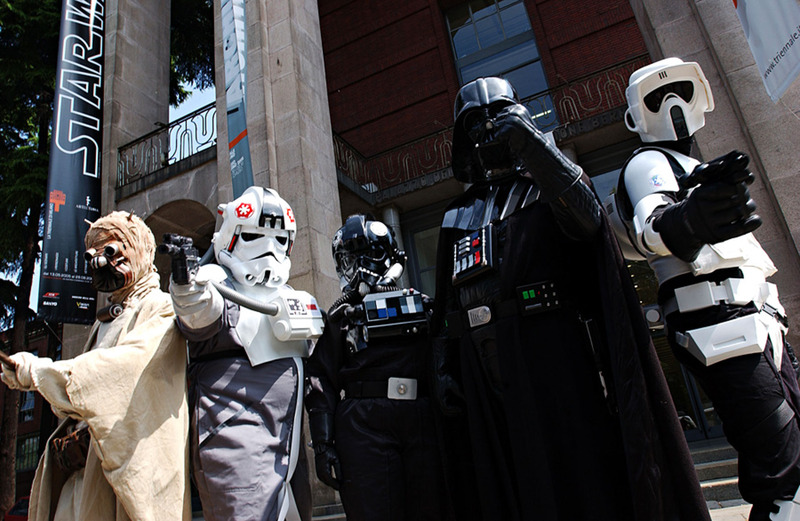 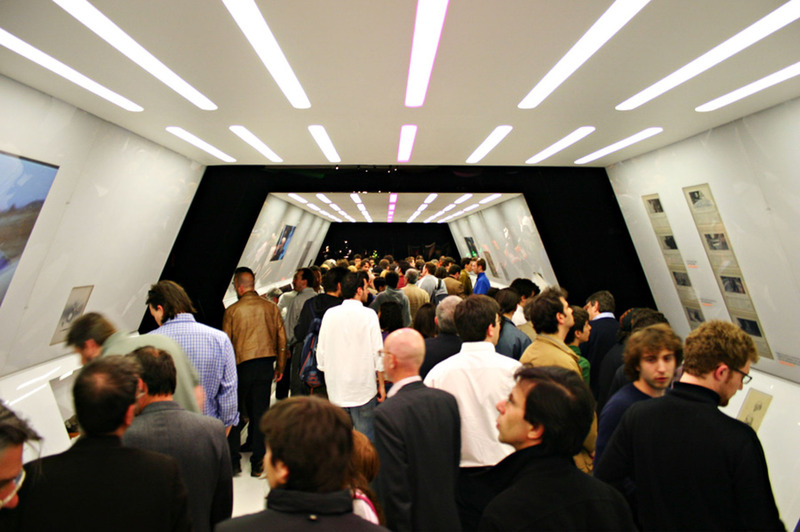 The exhibition, curated by Alessandro Pedretti, is set up as a show where the protagonist objects are found in the scene, in a background rich of suggestions and atmospheres that brings us to an imaginary world of adventure and a galactic landscape.The graphic design is focused on the Darth Vader’s mask, the only element common to all episodes. 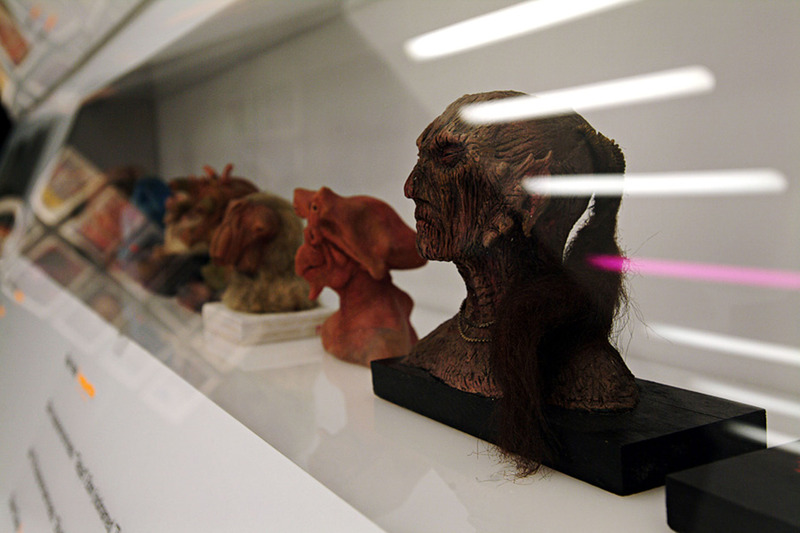 A sophisticated 3 dimensional model of the mask has given an expressive cut on the face, able to summarize all the exhibition contents detaching them from the concept of a film poster. 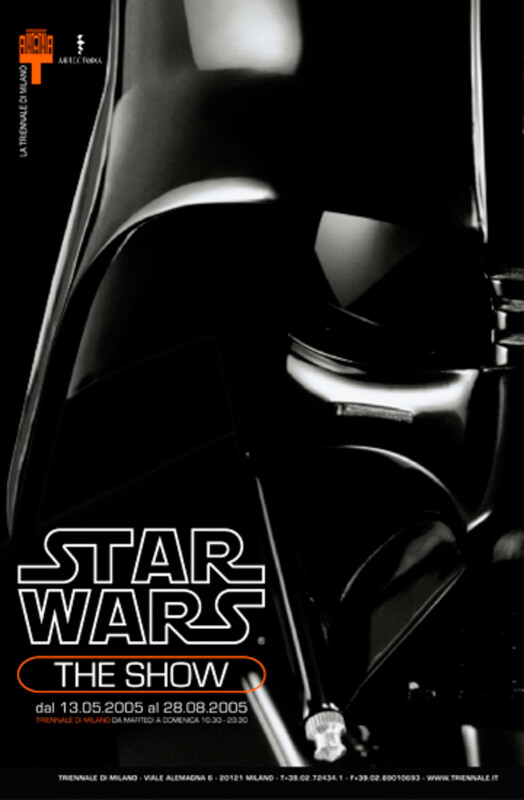 Another element is the title Star Wars. 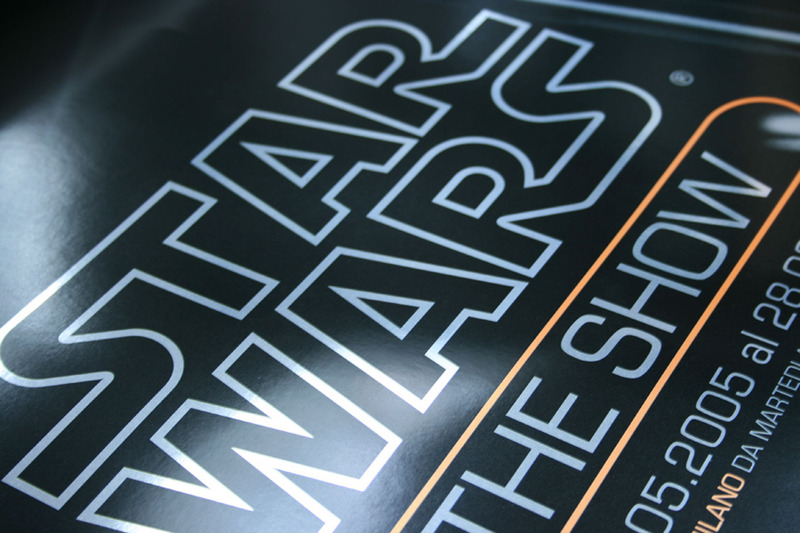 The letters and the fluorescent colors of “The Show” that we find on the exhibitions graphic design creates a relationship between the promotional graphic design and the one we found inside the exhibition.